One of the Katana-Head's most powerful features is the ability to store favorite amp channel and effects setups in Tone Setting memories for instant recall. The Version 2 update adds a second bank of Tone Settings, doubling the number of available memories from four to eight. 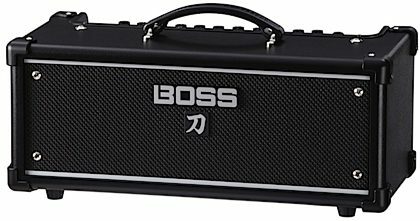 Combined with the added channel and global parametric EQs (configurable in BOSS Tone Studio), this elevates the Katana-Head's performance versatility to even higher levels. It's easy to select Tone Settings and switch between the two banks from a panel button, an optional external footswitch, or MIDI. The Katana-Head's speaker out supports connection to your favorite 8-ohm or 16-ohm cabinet. And with the handy built-in monitor speaker, you're able to check tones and practice anywhere without having to hook up a cab at all. The Katana-Head also features line, USB, and phones/recording outputs with cabinet simulation, allowing you to send mic'd up amp tones to a PA system, computer DAW, or headphones for quiet practice. Version 2 further enhances this capability with three Air Feel settings derived from the flagship Waza amps. Advanced players will appreciate the MIDI input, which enables easy integration with MIDI controllers and switching devices. "Workhorse Amp With Thoroughbred Sounds"
Overall: One of the best solid-state amp deals on the planet. I use the Panel setting channel, the one that works like a regular knob-turning amp head delight, for my pedal board. I use the 4 channel footswitch, sold extra, to control the 4 pre-set channels. 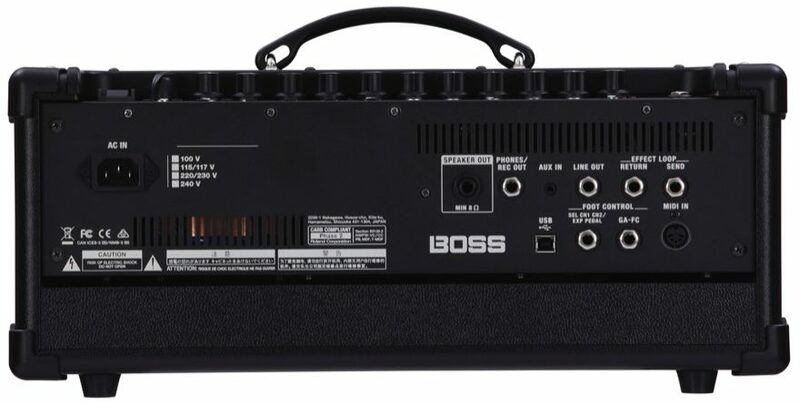 Except, BOSS upgraded the firmware for Katana head and it holds 8 pre-set channels,all accessed via footswitch. 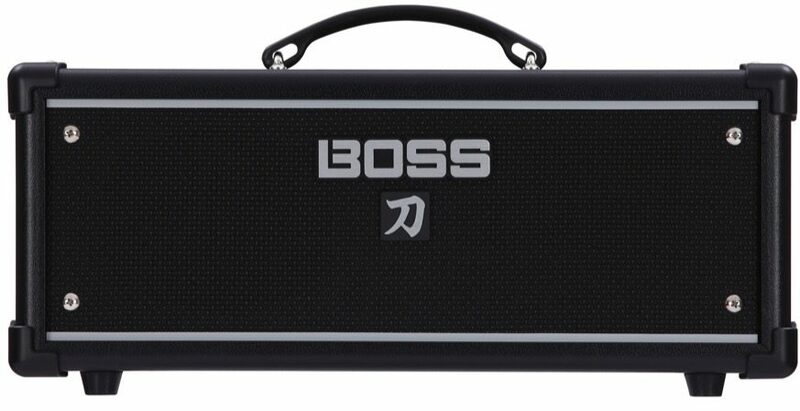 The software, Boss Tone Central, works flawlessly if you follow directions. Amazing control of genuine BOSS pedals inside this here amp! I use the on-board speaker for a practice amp but we have a 1-10" cab, a 2-12" cab, and a 4-12" cab to use when needed. This amp rocks them all. "GREAT GEAR AT A GREAT PRICE"
Overall: As a learning /living room rock star hobbiest, I like to think I've learned enough to select quality gear and this amp head and foot-switch are proving to me that you can get what you want without breaking the bank. Big up's to BOSS and ROLAND on the Katana series of amps. Simply put , fit and finish are excellent and and Dem TONES are incredible. I have an old '67 GBX 410 cab that just sounds great with this head and foot-switch. Can't brag enough about, and recommend it enough.